The Škoda Rapid is a subcompact car manufactured by Škoda India, the subsidiary of Czech automaker Škoda Auto, in Chakan, only forIndian market. It was launched on the market in November 2011. 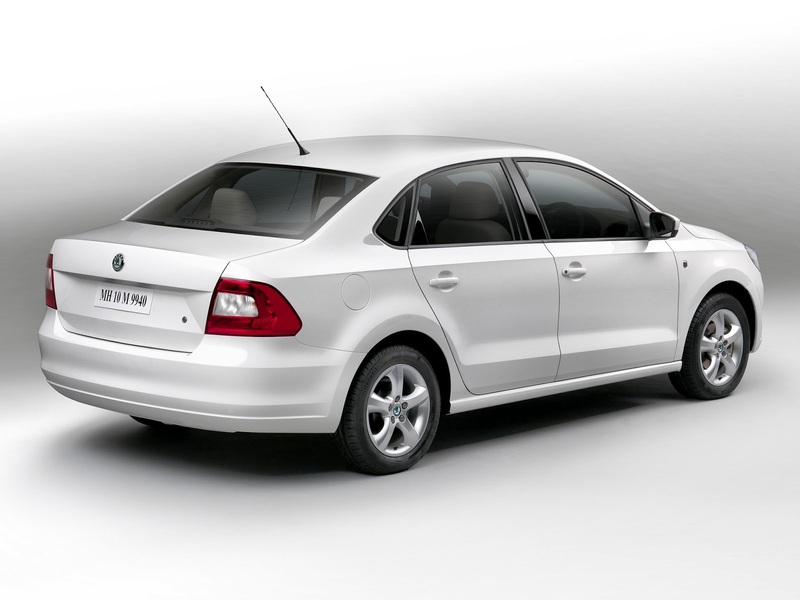 In October 2011, Škoda resurrected the Rapid nameplate for its similar version of the Volkswagen Vento made in India, with sales starting in November. The cars are similar, except for the grille, headlights, bumpers, taillights and some interior and exterior trim. The car is produced by Škoda Auto India Private Limited in Pune. On the inside, the cabin similar to its Volkswagen counterpart, apart from the Škoda family steering wheel, instrument panel, gearlever and audio system. Finished only in black, the central console has mismatch in the design of its parts: vents, buttons and climate control come from VW; audio system, with its large buttons and fonts, is from Škoda. Rapid includes dual tone upholstery, information cluster, driver assist, centralized console, chrome decor for interior parts, audio system with audio input for portable media players and SD/MMC data card reader, adjustable seats, headrests, armrests, tilt steering. 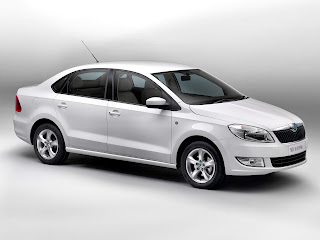 The Rapid is available with a choice of petrol (manual or automatic transmission) and diesel. In December 2011, it was voted Family Car of the Year by the Indian Top Gear Magazine. The European/Chinese Škoda Rapid, launched in Europe and China in 2012, based on the Škoda MissionL concept car, is superficially similar in size and shape to the Indian version. It is, however, a different design. The European Rapid is very slightly longer, with different interiors, a slightly different body shape, and different engine options. The European/Chinese Rapid was shown at the 2012 Paris Motor Show in September, with sales beginning in Europe, including Russia and in China in 2013. Last updated on 2 August 2013 at 14:54.